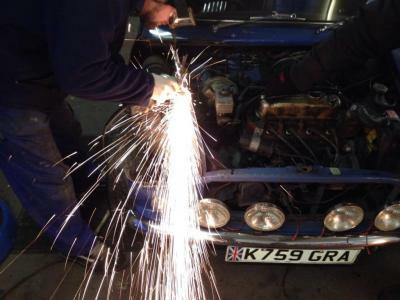 As well as offering Classic Minis at sensible prices, we also offer full Classic Mini garage services. 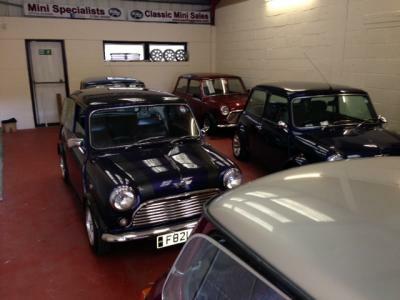 We offer full Classic Mini Garage services, from routine maintenance to full restorations. We can arrange MOTs and complete neccessary works, servicing, electrical work, customising, cooperising and all welding can all be done in house. We became aware that many modern garages are not always interested in working on older cars so this arm of the business grew from customer demand. We carry many spares and we can keep the costs down for you, the customer. Our stock changes quickly, and not all the Minis make it on the website, or may be at the preparation stage. If you can’t see what your looking for then please drop me a line or email, i may have exactly what your after. Alternatively give us a call and let us know whats on your wish list. Please remember that all of our stock can be customised to your taste and specification. We have very positive feedback from our customers after adding all their extras, that the Mini really feels personal to them.